The index opened weak and went on to touch the lows of the day at 8349, but the responsive buyers took control from thereon to move the index in green and close near the highs of the day at 8430.75, cool gain of 40.85 points. The broader market was also positive, with 857 advances to 700 declines. Tentative Range for the series has narrowed down to 8300-8500. Call option 8500-8800 added huge 7.89 lacs OI with short covering seen at 8300 and below strike prices. Put option 8600-8200 added huge 22.45 lacs OI with profit booking seen at 8100 and below strike prices. 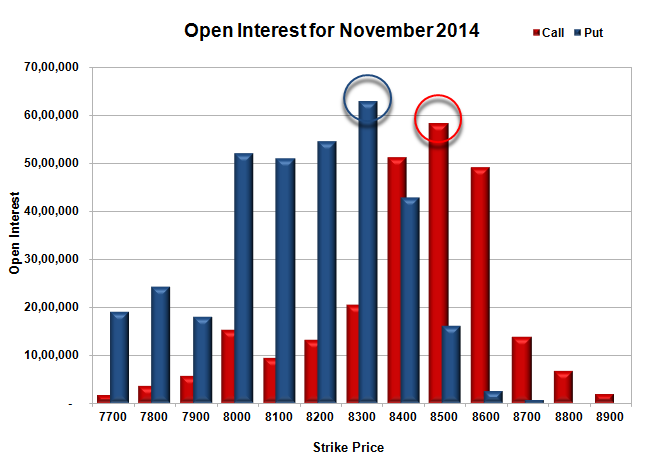 Nifty Open Interest is at 2,28,10,400 down by 37,325, with increase in price, probably short covering. 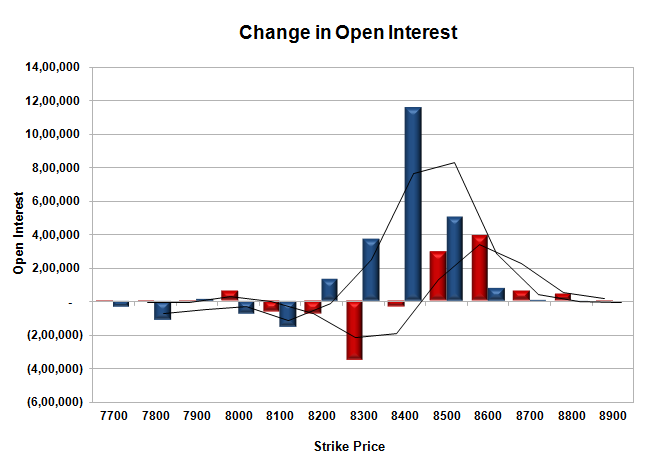 Bank Nifty Open Interest is at 21,37,750 up by 4,375, with increase in price, probably long build-up. FII’s sold 2.50 lacs Futures, which includes 9531 contracts long liquidation and 476 contracts short build-up, with decrease in net OI by 9055 contracts (includes 35726 longs to 45733 shorts for the day) and the Average Price comes to 8423.01. FII’s Index future open contract as on date is 718146 Longs to 159436 Shorts, net long 558710 down by 10007 contracts. Initial support now at 8400, with huge OI addition of 11.57 lacs and below that at 8300 with highest OI of 62.88 lacs. Initial and best resistance at 8500, with huge OI of 58.36 lacs and above that at 8600 with OI of 49.19 lacs. 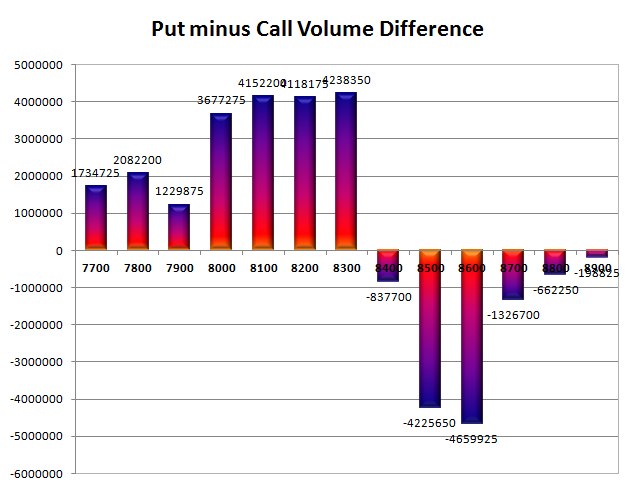 Day Range as per Option Table is 8356 - 8471 and as per VIX is 8367 - 8494 with 8406 as the Pivot.